The Grand Rapids City Commission voted in favor of a plan to allow the Grand Rapids Police Department (GRPD) to acquire new rifles on December 15, in a split vote of 5-2. 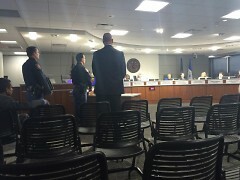 The decision sparked a debate, with mixed responses from attendees of the City Commission meeting and Grand Rapids residents over the role of guns in maintaining safety in Grand Rapids. The City Commission authorized the city to spend $69,000 on 65 Colt .223 caliber rifles for 59 Grand Rapids police vehicles and an additional $230,000 on ammunition for usage during police training exercises. The distribution of rifles is scheduled to take place during the fall of 2016. Prior to the distribution, the GRPD will require each of its officers to fire 1,000 rounds during 32 hours of rifle training. Amid the debate between gun advocates and critics over how to improve safety in Grand Rapids, violent crime in Grand Rapids has fallen to a 50 year low. In an average year, 15 people are murdered in Grand Rapids. Last year, six murders occurred within city limits, none of which occurred due to gun usage. Proponents of the rifle purchase maintain that the GRPD is long past due for an upgrade in weaponry. According to Police Chief David Rahinsky, rifles offer police officers greater accuracy than the handguns and shotguns that are currently available, and are necessary to combat the firepower available on the street. 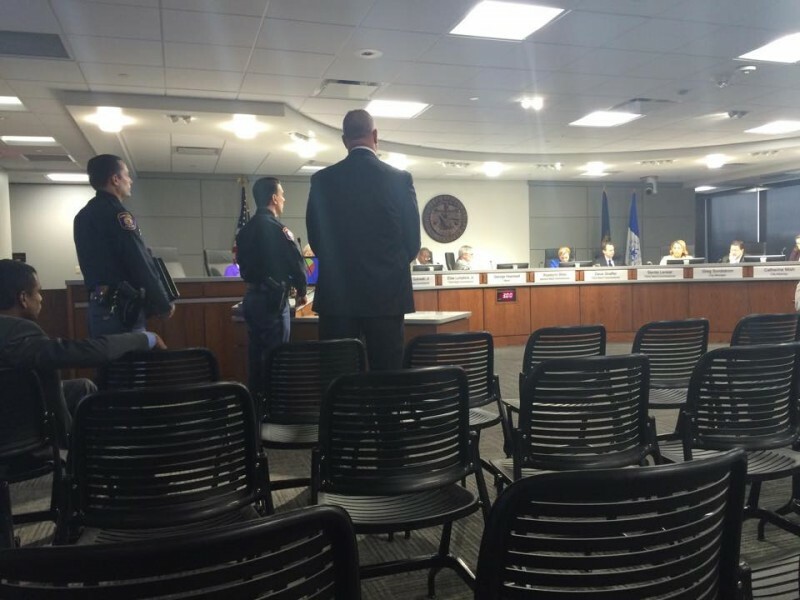 The GRPD plans to host four meetings regarding the rifle purchase in January 2016. Rahinsky maintains that the upcoming meetings and six-month training period will give them sufficient time to discuss concerns regarding the rifle purchase with Grand Rapids residents. Lenear also expressed concern that the rifle distribution would occur before the completion of the GRPD 12-point plan. The GRPD 12-point plan, which was developed with the input of Grand Rapids residents, community groups, the City Commission and members of the GRPD in January, called for the implementation of body cameras, additional community engagement activities and implicit racial bias and profiling training for all officers. By July, the GRPD put eight of the twelve recommendations in place, including the purchase of body cameras. However, the GRPD missed the December deadline for four of the recommendations, including the implicit racial bias training. Members of various community groups went further than Commissioner Lenear, calling for the City Commission to postpone the rifle decision for one year during the public comments section of Tuesday’s meeting. "The purchase of rifles will not improve transparency,” said Jeremy DeRoo, Co-Director of LINC, a local advocacy group, who argued that more time was needed to foster dialogue between the community and police. Ken Miguel-Cipriano, a member of Equity Drinks, a social network focused on advancing diversity and inclusion in Grand Rapids, made the case that Grand Rapids’ violent crime rate has decreased and that the introduction of rifles could increase community fears of police militarization and even lead to a spike in violent crime. Local tension over the rifle decision reflects growing national tension over gun safety in the U.S. After the recent mass shooting of 14 people in San Bernardino, California by a couple inspired by the Islamic-extremist group ISIS, police departments and politicians across the country are considering measures to ramp up armament measures to defend against further violent acts. In an interview following the city commission meeting, Equity Drinks founder Jeremy Moore questioned the efficacy of armament measures.